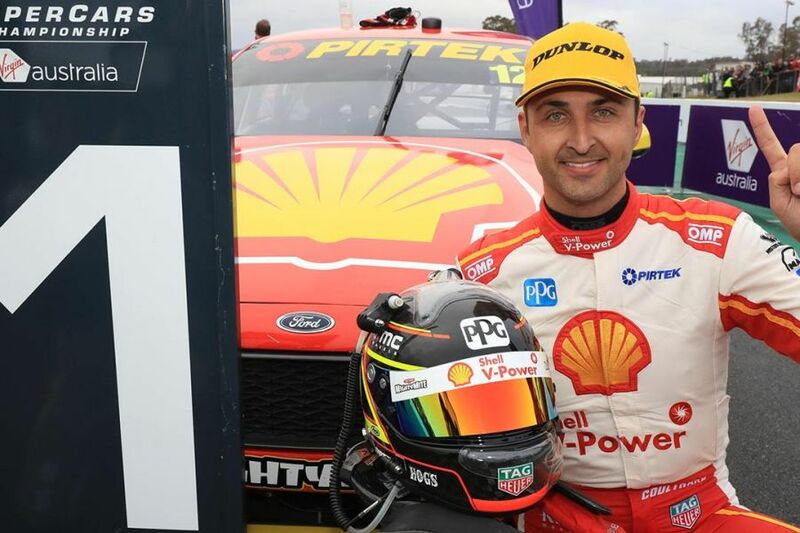 Fabian Coulthard (DJR Team Penske) clinched his first win of the season today in the second race of the Winton SuperSprint meeting at Winton Motor Raceway. It’s Coulthard’s tenth Supercars win in a career that ended his victory drought which lasted since last year’s August. Coulthard made the most of a poor start from teammate and polesitter Scott McLaughlin, who stalled on the grid and lost immediately seven places. Coulthard’s #12 Ford stayed in the lead from lights to flag, crossing the finish line 11 seconds ahead of #97 Red Bull Holden of Shane van Gisbergen. McLaughlin managed to recover during the race and grabbed the last podium spot, minimising the damage to his championship lead. After a sensational victory on Saturday, Nissan’s Rick Kelly finished fourth on Sunday, ahead of teammate Michael Caruso and yesterday’s podium-scorer Scott Pye (Walkinshaw Andretti United). Tim Slade, Jamie Whincup, Richie Stanaway and Chaz Mostert completed the top 10. After 14 races, Scott McLaughlin leads the championship with 131 points more than Shane van Gisbergen. Craig Lowndes is third, 299 points down to McLaughlin. The next round of the Virgin Australia Supercars Championship is the CrownBet Darwin Triple Crown on June 15-17.